Creative costumes, breathtaking skits, and supportive cheers surrounded the Mount this past Saturday, October 24 as the 25th annual Athenian Day kicked off. 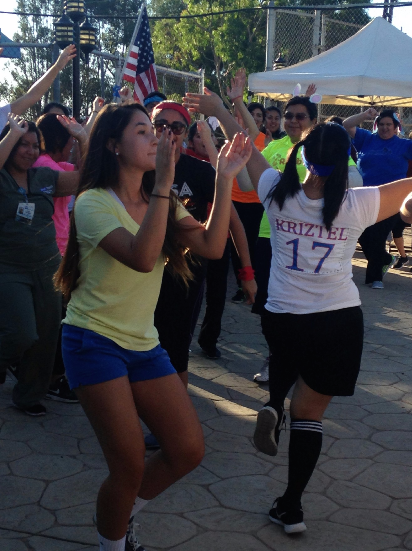 Students, faculty, staff, and alumni came together to play a series of mental and physical games. Promptly at 7:30 am, all fifteen teams checked in to have a healthy breakfast and prepare for a few hours of fun. Each team walked in with a poster, costumes, and a prepared skit. As the annual Athenian Day games commenced, every team was to present their skit to a panel of judges. Judges scored based on creativity, music, energy, and costume. 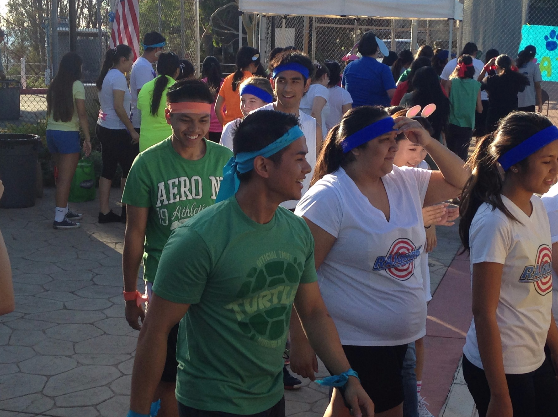 Participants enter the fitness center for the start of Athenian Day. After the skits, it was game on. Groups were divided into three brackets. The first series of games consisted of physical and mental strategy. Games included Truck Push, arm wrestle, and Pool-in-One. Other games were Magic Carpet, Air-Heads, Dodgeball, Hula-Hoop and Marble Relay, World-Wide Web, and much more. All teams worked together in order to play each game. As the day concluded, the referees, judges, and scorekeepers came together to determine the winners. The Gay Straight Alliance club won the title of Athenian Day, followed by the Isae Barbaes, and RA Squad. Other awards such, as “spirit award,” went to the Isae Barbaes for having best sportsmanship, and positive attitude throughout the entire event. AACW won “best skit” with their own version of Drake’s new hit single Hotline Bling. CNSA were known as the hype masters for consistently cheering, and finally the “unstoppable award” was given to the Alumni Team. Before awards were given, Athenian Day concluded with a dance off. All teams gathered together to show off their best moves. Students show off their dance moves after the games conclude. “The dance off was the best part, I have to say,” said Aleisa Legita one of SGA Winnie-the Pooh’s team members. Overall, Athenian Day was a success. Not only did everybody have a great time but everyone was brought together as one. The Sports and Wellness department plans to continue keeping this tradition just as long as they continue to have students, staff, and alumni come back to participate.